Night splints are types of braces that are used to treat medical conditions like plantar fasciitis and Achilles tendinopathy. Night splints maintain the foot in a position with the toes pointed up. Maintaining this position allows for a gentle and constant stretch of the plantar fascia. As well, it will also stretch the Achilles tendon near the back of the heel which prevents it from contracting. Individuals who use night splints typically wear them every night for up to several months. After that point, users generally reduce how often they use the night splints as the symptoms will typically have alleviated by that point. These night braces are usually adjustable and your physician will often help you to configure them to provide maximal benefit to you. Most people that use nights splints complement them with other types of medical treatments for their pain symptoms, typically nonsteroidal anti-inflammatory drugs, other orthopedic devices as well as physical therapy. Let’s review some night splints and see which are the best rated. What do customers say about night splints? Get rid of the painful symptoms of plantar fasciitis and keep yourself comfortable without fuss with the aid of this effective night splint. This dorsal night splint has a small interior to hold the foot in a neutral position, thus preventing any contracture that causes pain. It also supports the arch of the foot, allowing for proper healing. Holding this splint, you will appreciate its strong construction and minimal weight. With minimal heat retention, it is especially comfortable to wear during sleep. Moreover, it comes with a triple-stitch strap that is stretch-resistant, providing exceptional support. It will fit either the right or left foot. If you are suffering from plantar fasciitis, this easily adjustable night splint can be an effective tool in your treatment regimen. 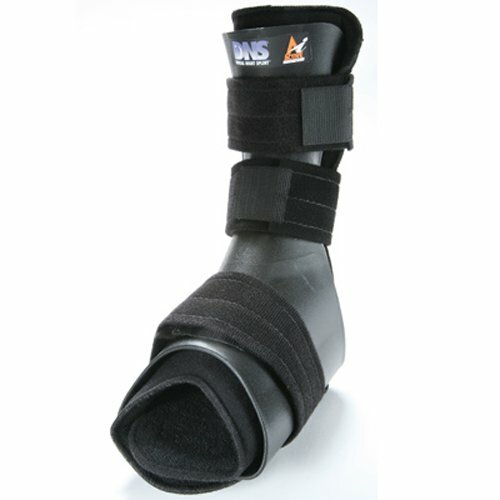 You will likely not feel any discomfort wearing this splint due to its lightweight and flexible structure. It has a cooling foam liner, padded calf and ankle straps that keep it securely in place. Moreover, its dorsi-flexion is adjustable from 10 to 90 degrees. While you can easily purchase this product online, it is recommended to consult your physician first before buying for safety purposes. Many users have found this product effective in alleviating morning pain and stiffness brought on by plantar fascitis. The lightweight shell is breathable and comfortable to wear. It comes with a thin and durable molded plastic shell on the outside and soft and thick foam padding on the inside. Other components include a comfortable liner, velcro straps, a non-skid rubber sole and a adjustable dorsiflexion to maintain an optimal angle for the foot during sleep. This product fits either right or left foot. With its center-release buckles, users can wear or remove this splint without hassle. Is your heel area constantly in pain? You may be suffering from plantar fasciitis which can be aided by using a slip-resistant night splint like this Ossur product. It is lightweight, sturdy, breathable and has an especially low profile. When it comes to alleviating plantar fasciitis pain, you can rely on it for fast relief. It promotes gentle stretching of the plantar fascia and the Achilles tendon. With its center-release buckle design, it can be easily worn and removed. It contains a padded insert that is both removable and washable. Sizes range from small to large with two color options. Alleviate plantar fasciitis pain without taking any medication by using this sleep support. It is made from 60 percent polypropylene and is fully adjustable to fit feet from size 8 to 15. 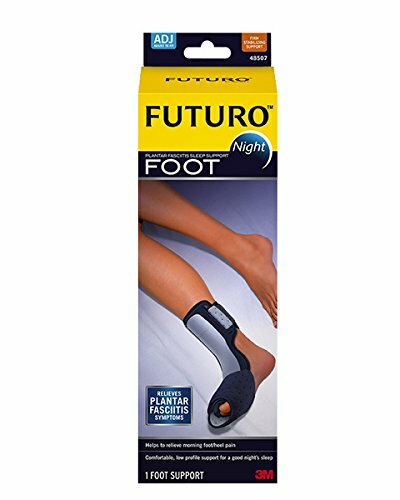 Wearing this at night on top of the affected foot will keep you comfortable while maintaining the foot at a therapeutic angle of 85 to 90 degrees. It comes with comfortable straps to keep the brace in place, allowing users to walk even while wearing it. You will not feel much discomfort wearing it as it has breathable inner soft foam. Definitely a night splint to consider if you are shopping for an online solution to your pain symptoms. Many customers report having to experiment with night splints before they found the position and custom settings that provided them maximum benefit and pain relief. They urge new users not give up on their night splints until they have experimented with different configurations. Many people who use night splints report dramatic reductions in the experience of pain in their heels. The amount of pain reduction varies by user, with some people reporting that their pain symptoms are completely eliminated, while others report that their pain symptoms are eliminated or reduced for only portions of that day. Many individuals who suffer from severe plantar fasciitis used the night splint as a complement to other forms of therapy that typically included insoles, icing treatments, cortisone injections as well as physical therapy techniques like the Graston technique. Velcro straps are convenient ways of adjusting the tightness of the night splint. Some people find that if adjusted to tightly the night splint can potentially feel too confining or uncomfortable, which can prevent sleep. Night splints have profound therapeutic benefits. The intention is to help maintain the plantar fascia length while the individual is sleeping. Night splints provide consistent and constant strain which helps to maintain length while helping to reduce stress that occurs within the plantar fascia and other intrinsic muscles. Podiatrists typically reports that patient will adhere to using night splints for around two weeks. After that point, many patients will begin removing them at night because of the discomfort that night splints caused them while they are either trying to fall asleep or while they are in sleep. Once the night splint wearer begins to experience adverse effects at work or in life because of their interrupted sleep, they are much more likely to abandon using this treatment. Patient education is crucial in maintaining adherence. If you yourself are prescribed a night splint, it’s good to know that the podiatrists over at podiatrytoday.com say that even wearing them for a few hours a night will make a significant difference. Once patients begin waking up in less pain, they will become more committed to wearing a night splint throughout the duration of their sleep. 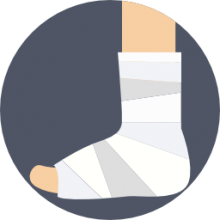 One accommodation that podiatrists often make, is that they will let or advise patients to wear a nice plan while they are watching TV or reading. They call this a “lazy” splint. It is a good way to get people accustomed to wearing these devices while they sleep- by having them wear them during the day and downtime activities. Podiatrists differ on when they introduce night splints as treatment for planter fasciitis. Some of the time podiatrists will recommend the use of the night splints as a primary measure, while others will only resort to it if stretching exercises and corticosteroid treatment hasn’t produced the desired results. Some podiatrists of advise night splints as a passive exercise solution to stretching. While many patients don’t like wearing night splints, many of them dislike stretching exercises even more. So night splints become a de facto fallback option if patients are not adhering to stretching exercise regimens. Night splints are an effective treatment intervention for healing the planter fasciitis. Research studies indicate that planter fasciitis can be effectively treated using night splints as a component of a more comprehensive medical intervention strategy. It is important to include corticosteroid injections, stretching, comfortable shoes, icing regimens as well as customized orthotics as part of this intervention strategy.